Ho Chi Minh City for sure will be your destination whenever you visit Vietnam. Having to say, if you have travel to Saigon once, you must know about some antique and amazing buildings and structure tracing back to the old time. Among them, the Saigon Opera House has risen as an attractive place not only because of its long history and beautiful as well as charming architecture but also of what is going on inside the house. So what exactly happens in this antique enormous and gorgeous place? The answer is sometimes as planned, the Opera House will open to welcome people coming to watch a show performed by Vietnamese artists. One of the most famous show that is getting well-known especially by foreigners is A O Show Saigon (À Ố Show). The name of the show (À Ố) firstly may seem weird and unfamiliar. Instead of using a tremendously meaningful title, the show is only named “A O”. It comes from the reaction of the audience when viewing the show that they are usually amazed and attracted by the performance of the artists so fantastically and they have to say out loud “Ah” or “Oh” immediately. 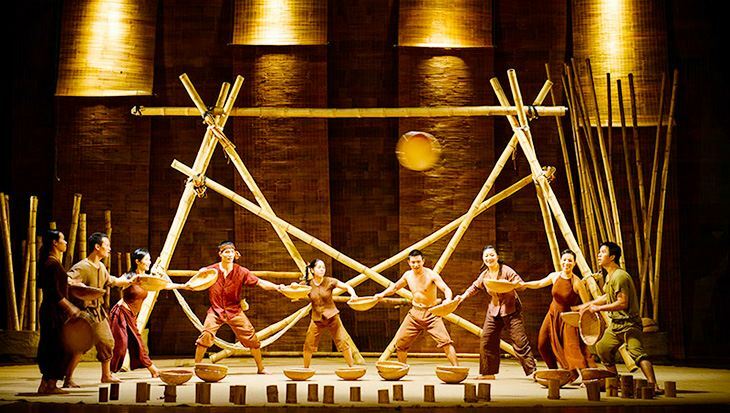 This bamboo circus is a mix of Vietnamese countryside with the youthful chord of very ordinary Vietnam’s urbanization. 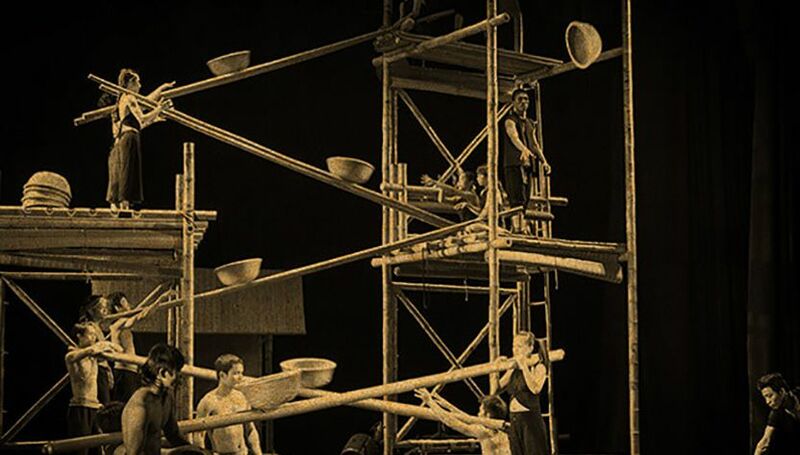 A O Show uses a variety of art such as circus art, acrobatics, contemporary dance and blending together, the play renders vivid stories and color palettes that we encounter somewhere in life, from urban to village. The music is composed and live from more than 17 kinds of national and modern instruments. What makes it so unique and outstanding from the rest is that it features the portrait of Vietnamese people in their daily life including Vietnam’s peaceful country life versus the noise and irony of urbanization. Every each of small detail in the performance is selected and well prepared so that it can bring to the audience the best moment of the day. Watching the show, tourists cannot find anything technically modern but only people and a whole world or “bamboo”. 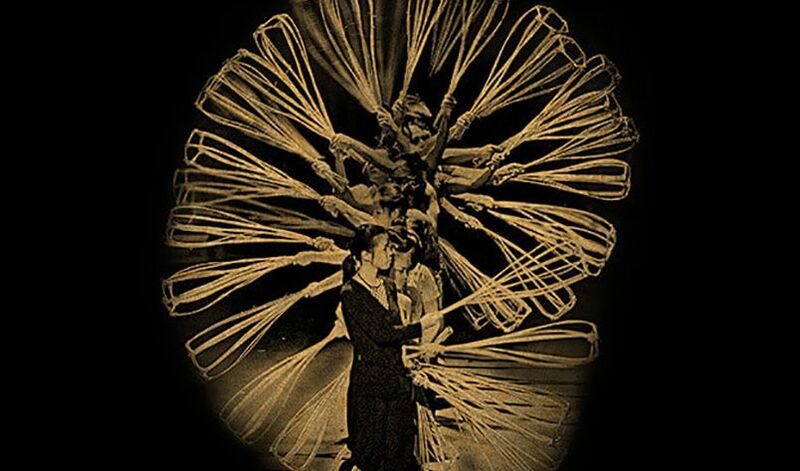 That is to say, you will deepen into a rare mix of bamboo cirque, contemporary dance, acrobatics and live music played by folk instruments that are totally 100 percent made from bamboo. From those traditional instruments to the house, from the basket boat to the bridge, they are all from bamboo which are chosen and created carefully and seriously for such a long time to present and capture some features of Vietnamese culture as bamboo is a symbol of youth, of strength and solidarity that Vietnamese people usually use in the previous time. On average, there will be 15 shows per month with the price starting at 630,000 VND to up to 1.5 million VND. Each A O show will tell you a story about Vietnamese people with funny half-village and half-city situations. The artists, coming from different background and career, with cheeky smiles and amusing creatures’ body language, will lead you to an aspect of life and help you get to know more about local people. Scripted, directed and music composed by those talented, dedicated and informed people, you won’t regret having watched such a brilliant show once in your life. That is also the reason why in most of the list of foreigners when travelling to Vietnam includes A O Show as one the destination to reach in Ho Chi Minh City. 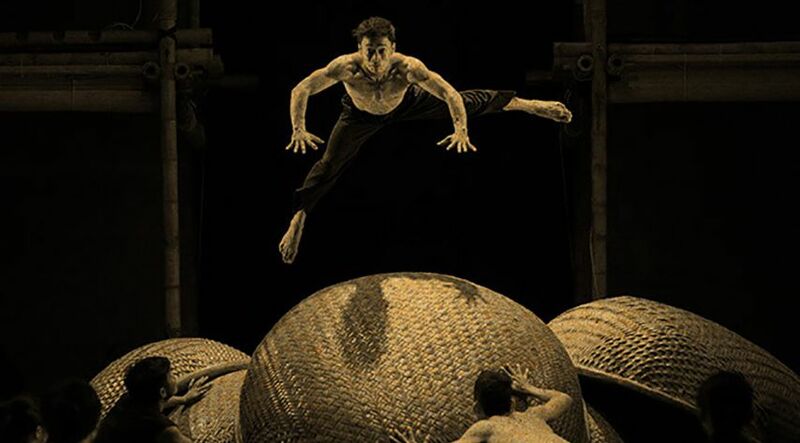 It would not be any better than to watch a show and then come out to discover the antique beauty of the 119-year-old Opera House, a national relic and also a Saigon’s cultural and French architectural icon. At the same time you can explore two amazing things in your journey. 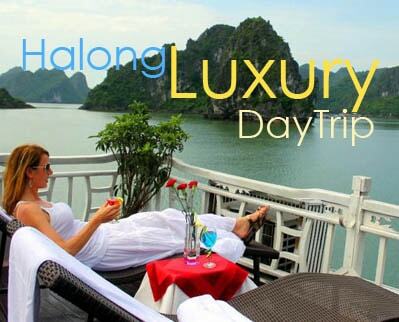 All you need is to pick up your luggage and prepare for the upcoming trip to Saigon so that you can have a whole view there and experience all of the interesting facts and destination in Saigon in particular and in Vietnam in general! Location and time schedule of À Ố Show. Saigon Opera House – No. 7 Lam Son Square, Ben Nghe Ward, District 1, Ho Chi Minh City. Show 1: 18:00 – 19:00. Show 2: 20:30 – 21:30. Duration for each performance: 60 minutes (estimated).